An ever-growing collection of dictionaries available online. Here you will find English-Russian, Russian-only, picture, slang and specialized dictionaries. 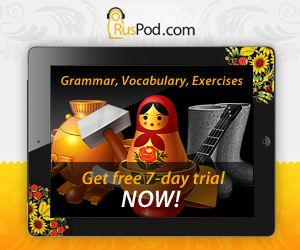 These vocabulary lessons will help you to learn basic to intermediate Russian vocabulary. Topics include Farewells, Greetings, Acquaintance, Days of the Week, Countries, Holidays, Numerals, and more. 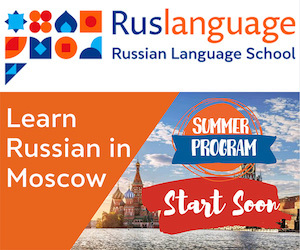 Here you can learn how to say words and phrases in Russian and other popular languages of the world. A primer on words of love and affection. The pages are in English-Russian format with most Russian phrases pronounced by a native speaker. Useful vocabulary lists on a variety of topics, including hellos, goodbyes, hotel, congratulations, numbers, days of the week, months, holidays, animals, colors, and others.